Hey Chiefs Fans….Are You Ready? 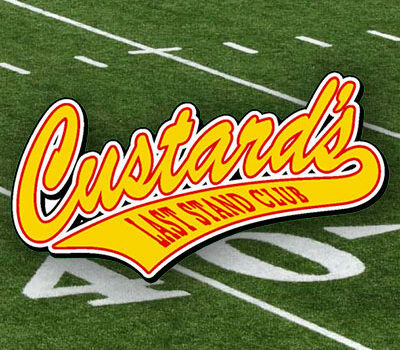 Since 2002, Custard’s Last Stand has been offering discounts on their cones, concretes and sundaes after Chiefs football games. Basically, when the Chiefs score points, you may also score with big savings just by saying, “GO CHIEFS” when placing your order. The promotion has been going on for 13 years and the discount percentage has reached as high as 56% off of cones, concretes and sundaes. Week #1 of the 2016 season was 33% off as the Chiefs beat the San Diego Chargers 33 to 27. Find out more about our National Ice Cream Promotion of the Year!